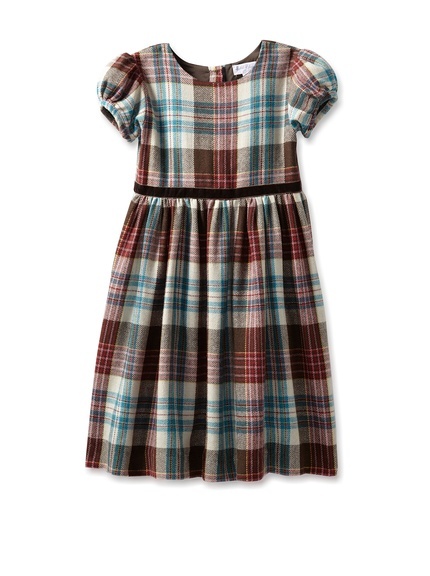 If you need a buttoned-down, comme il faut kind of dress that also happens to be made out of a beautiful wool blend in gorgeous colors, MyHabit is your friend today. This check party dress from Rachel Riley is on sale right now for just $39... but keep in mind that the original price was $198!! There is also, of course, the free shipping on all orders from MyHabit that will really make you pat yourself on the back for selecting this one. It is a sensible selection. And shouldn't we all dress sensibly on occasion? Available in sizes 3-7.